Social media marketing takes a lot of work. It’s a constant cycle of creating content, engaging your customers, clients, members, and supporters, and finding creative ways to make your business or organization stand out in a sea of channels that all take a different tone. The one social media site that has a stable atmosphere is LinkedIn. Why is that? Because the conversation there is all about business. When you sign in to LinkedIn, you’re not going to see people linking to stories about celebrity antics or posting vacation photos. Instead, people are there to share expertise, to network, to find a new job, or to seek business advice. That's why it’s a great place to promote your business — especially if you're a B2B. How do you get noticed on LinkedIn? Start by creating a company page and fill out all of the tabs that come with it: overview, careers, products & services, and analytics. Give visitors the full picture of what you do. Post job listings, provide company updates, and showcase your products and services. Once you have people connected to you, ask them to submit recommendations on your products tab. Reviews are essential for driving new business — a recent Nielsen study on brand marketing showed that consumers look to social media reviews before they make purchasing decisions. Nielsen found that 63% of social media users rely on ratings; 62% said it was as their preferred information source when researching products and services. Next, take a look at LinkedIn groups. Join industry-related groups and start your own groups around your business or what you do. Groups provide a great place for discussions and collaborations. Someone in a marketing LinkedIn group I follow started a blog and wasn’t sure what to do with it. Fellow members checked out the blog and gave fantastic feedback on how to create content, provided tips to improve the blog's SEO (search engine optimization), and explained how to use social sharing tools. You can gain a lot of insight by adding to the conversation and asking for advice from your colleagues. Then, be a resource. Your knowledge and your unique take on what you do can’t be beat. Contribute to discussions with your expertise. Offer solutions and value to your LinkedIn colleagues and they will start to look at you and your business as the place to turn when they need help. 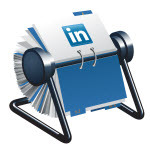 Do you use LinkedIn? Share your experience with the site here or on our Facebook Page.